A jigger is often used to measure mixed drinks. 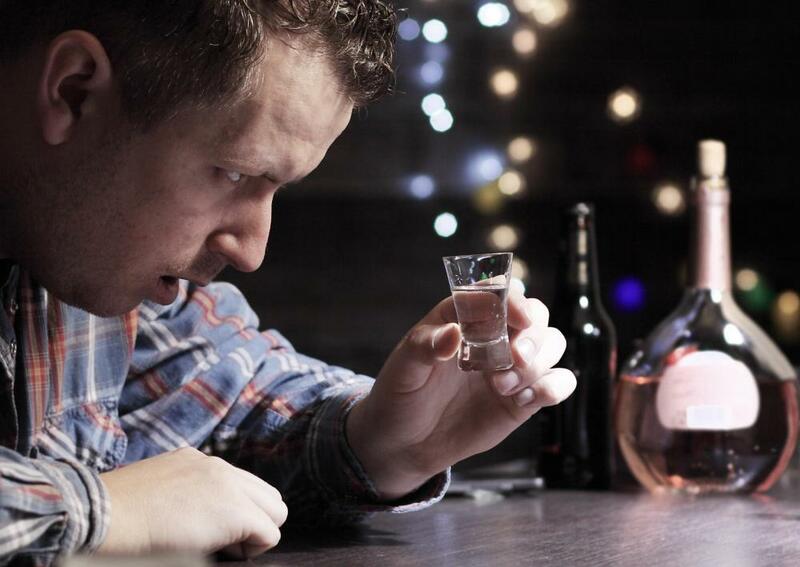 A standard "shot" of alcohol is usually 1.5 ounces. Jiggers are often used in conjunction with cocktail shakers. The word “jigger” can refer to a number of different things, including a railway car, an insect, and a rocking saw. In food and culinary circles, however, it almost always describes a tool used by mixologists and bartenders to accurately measure alcohol for cocktails and mixed drinks. This sort of jigger typically comes in either metric or English units, and many people consider it to be an essential part of any well-apportioned bar. It is typically designed to measure out exactly one shot, though there are many variations and exceptions. The main goal of any jigger is to give a bartender control over how much alcohol goes into a given drink. A standard “shot” is usually understood to be exactly 1.5 ounces (44.3 ml), and most jiggers are calibrated to measure this amount. 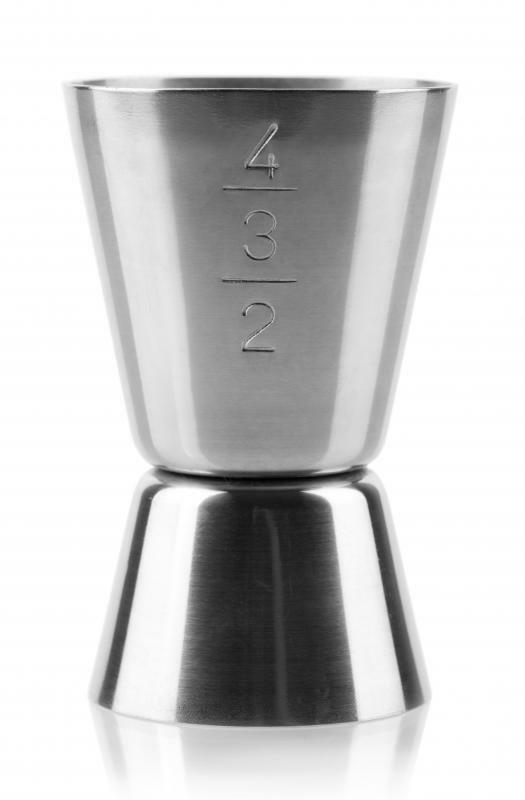 The measuring “cup” is usually shaped like a small cone that has been flattened on one end, and they usually come as a part of standard “bar sets” alongside other tools like strainers and cocktail shakers. Most are metal, glass, or plastic, but they can also be ceramic, porcelain, or crystal depending on the setting. Fancy versions are frequently engraved or covered in material like leather to make them more distinctive. Simple jiggers are usually no more than very precise shot glasses. It is also common to find “double” versions that are essentially a small and a large measurer that are connected, usually at the base so as to form a sort of hourglass shape. If one side is a single shot, the other may be a double or a half. 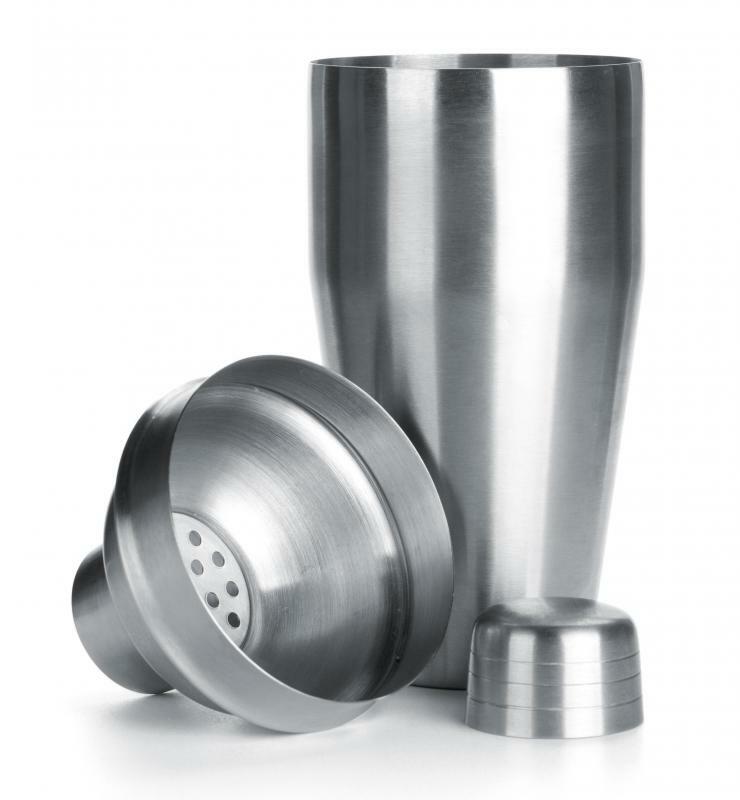 Bartenders are able to flip these jiggers over quickly during pouring to get an even ratio of different liquors or mixers. The tool may also have a smaller 1 ounce cup (30ml) to measure out a “pony shot” that can be used to make lighter, or less alcoholic, drinks, and many have ounce or milliliter gradations marked on the side to allow for modifications or quick measurement checks. Bartenders use jiggers to get precise ratios of ingredients in cocktails, and will typically measure every ingredient, including mixers. Most formal drink recipes are presented in measurements like “2 to 1” or “3 to 1.” People who are serious about mixology usually take great care in crafting their drinks to make sure that each ingredient is precisely measured and evenly distributed, whether blended in a shaker or stirred in a glass. Well-made jiggers allow people to make even very complicated drinks with confidence and exactitude. Using a jigger is only one of many different ways to measure alcohol, and it tends to go in and out of fashion as times change. Some people think that bartenders who meticulously measure out each shot are being stingy, while others see such precision as a mark of respect for the art of cocktail blending. Another school of thought teaches that careful measurements belong only novices, on the assumption that more experienced mixologists should be able to get the right ratio without even trying. Party hosts and home bartenders often like using specified measuring cups either as a way of showing off their skills or as a means of ensuring that all drinks are made with the same amount of alcohol. The tool is a common part of most home bar tending sets and can be found behind the counter in most establishments; whether it is actually used is often a matter of choice, custom, and culture. Recipes often call for different liquors in terms of how many jiggers they require, as in “2 jiggers of whiskey.” This doesn’t usually mean that the whiskey has to be measured in a specialized measuring cup; most of the time, this is just a faster, more convenient way of saying that the drink should include 3 oz (88.7 mL) of liquor. Using an exact tool is the best way to get precise results, but it is rarely ever required. A jigger also doesn’t have to be formal to be effective. People who don’t have this specially calibrated tool can use basically any measuring cup that shows ounces or milliliters. 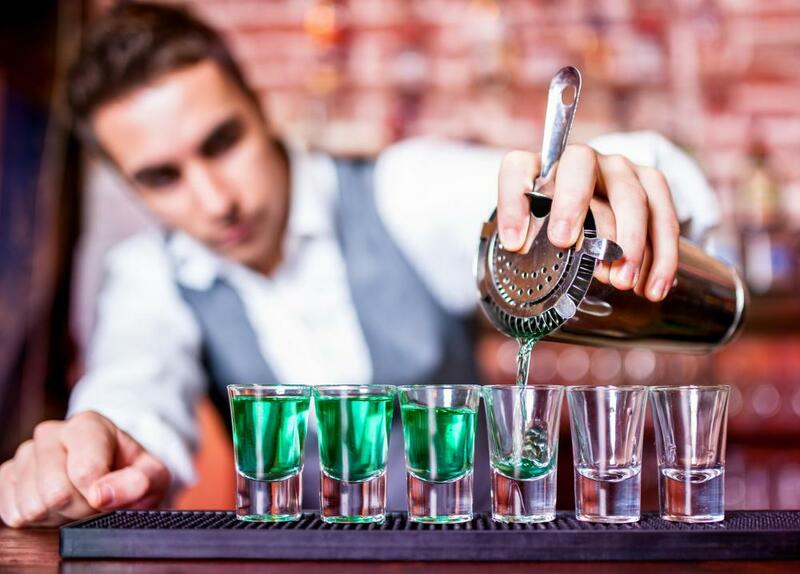 A regular “shot glass” can also be used in a pinch, but careful bartenders might want to measure the volume of their glass with water first since these aren’t usually standardized. Shot glasses purchased in kitchen stores are often calibrated and are essentially jiggers by a different name, but many of the versions sold as souvenirs or in novelty shops can vary greatly in terms of their volume. What does It Mean to "Fall off the Wagon"? GraniteChief: There are lots of bars with no particular stinginess regarding alcohol and very high quality bartenders measure shots - it's the old way, and the best way to ensure that the proportions are just right in a cocktail. Free pour is a sign the bartender isn't much with cocktail prep. While it's a good idea to measure correctly if you're boss is a little strict on alcohol portions with a jigger, I believe it's more suited to home bars and home made mixes. The double jigger, while you might not see it so much in a bar, is very useful in a home setting where one is entertaining and many people prefer to appear more "professional" by having a jigger around. I can always tell when a bar is either really strict with it's alcohol or the bartender is very much a novice by the use of a jigger. While I appreciate the accuracy of the pour when using a jigger, it is my belief that a well-experienced bartender or mixologist is capable of pouring a perfect shot, even if it is just done by eye.